Illegal immigration continues to roil American politics. The right-wing media stir up panic over "anchor babies", job stealing, welfare dependence, bilingualism, al-Qaeda terrorists disguised as Latinos, even a conspiracy by Latinos to "retake" the Southwest. State and local governments have passed more than 300 laws that attempt to restrict undocumented immigrants' access to hospitals, schools, food stamps, and driver's licenses. Federal immigration authorities stage factory raids that result in arrests, deportations, and broken families - and leave owners scrambling to fill suddenly open jobs. And yet polls show that a majority of Americans support some kind of path to citizenship for those here illegally. What is going on? In this book, John Tirman shows how the resistance to immigration in America is more cultural than political. Although cloaked in language about jobs and secure borders, the cultural resistance to immigration expresses a fear that immigrants are changing the dominant white, Protestant, "real American" culture. Tirman describes the "raid mentality" of our response to immigration, which seeks violent solutions for a social phenomenon. The current "round them up, deport them, militarize the border" approach, Tirman shows, solves nothing. Our country, at one time, did depend on immigration to help it to grow but once we became a country (and was one for about a century) then the consideration of illegal immigration became a focal point. I was hoping for an unbiased look at immigration but what I got was the author on their soap box because he chooses to see only what he wants to see on how the government is dealing with immigration. If you want to learn what exactly is going on with immigration then please, I beg you, ignore this book and do your own research! 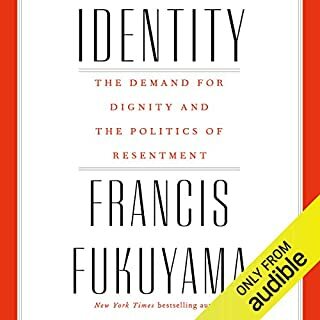 I wasn't able to even listen to this book in it's entirety (I did a lot of skipping) due to the bashing done to anyone who doesn't think like the author. Now, I hate to give this book anything above a one star but as another reviewer said, "...the narrator is not the author" so I will give credit to the narration which was done excellently and at a good pace. However, I will still give this book an overall of one star due to the totally biased and uneducated rantings of the author. Proper migration into this country is honored it's the illegal immigration that is being dealt with, please, do your own research and reach your own decision on how to feel about the government's handling of this very real and serious issue. As a dear friend of mine was fond of saying, "If you are looking for bears in the road then all you are going to see are bears in the road." By the way, she was a Dutch immigrant who became a citizen of our wonderful country. Human Dignity--Left or Right Wing Issue?!? I walked into Immigration and the American Backlash thinking I'd be hit with a barrage of left-wing arguments, something that I, as a slightly left-of-center person might find to be a slight affront (and perhaps I should say here that I swing more to the right the older I get). And it certainly does make some arguments that someone who thinks from the right might find infuriating, but overall one finds that the book is mostly about humans making their way. Make no mistake: The Left gets some heavy-duty whonking on the head, as the problem comes across as starting off from neo-Liberal policies of the 90s (think NAFTA and super cheap labor depressing a living wage), and it goes on to slight it as being a lot of hand-wringing now. Still, I can see where the people on the Right would dislike the book: It's heavy on immigrants keeping some of their culture alive and well even as they live in this country. It suggests that Mexican-American studies aren't all that bad (and what other way to introduce the culture to citizen students to immigrants so that they aren't perpetually viewed as The Other?). It asks that we look at how our own policies, economic, social, political, have undermined the fabric of society in the countries that are seeing the most emigration. This is never fun stuff to listen to, I assure you. But the book really highlights the immigrants as human beings. It over and over shows people working truly wretched jobs for truly wretched wages. 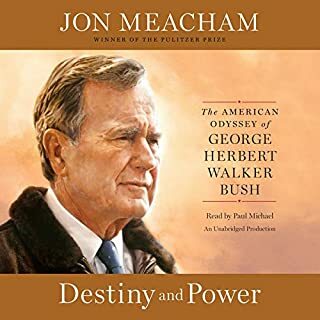 Jim Sartor does a capable job narrating the book, and while I sometimes found his narration to be over-enthusiastic, it never got in the way of the whole shebang. Yes, it delved into a controversial topic of immigration but presented it in an unbiased manner and gave the reader good insight on the topic. Clearly very well researched this was an interesting look at our current issues with immigration. The author did a good job covering all sides of the issue, which I really appreciated. Definitely worth a listen. 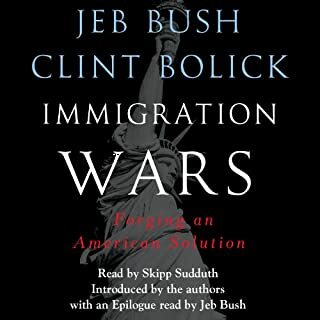 Would you consider the audio edition of Immigration and the American Backlash to be better than the print version? I consider the audible format equal to the written format. What about Jim Sartor’s performance did you like? Jim Sartor gave this important work the expression needed to hold listeners' attention. Immigration is a target and focal point in The US’s political arena currently; however, many citizens are dangerously uninformed and easily mislead on these important matters. John Tirman’s work examines the issues and the illusions against the realities that exist. By examining real cases that have previously occurred and their consequences, it becomes clear that detrimental consequences await if the majority does not act to stop these senseless actions such as mass roundups and deportations. Using careful examination of actual events Mr. Tirman reveals how the catch phrases of loss of jobs, welfare abuse, and even potential terrorist acts are used to create fear of immigrant cultures existing alongside the current dominant culture. The real fear is all too often that of losing power. Violence, mass deportations, and hysteria in response to minority cultures is not the answer. The United States has worked to become a country that could coexist with many cultures as part of our country in a spirit of inclusion. 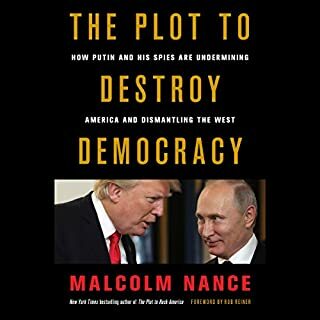 This is a book that should be read for understanding what is happening today by everyone. 3.5 / 5, but rounded up. 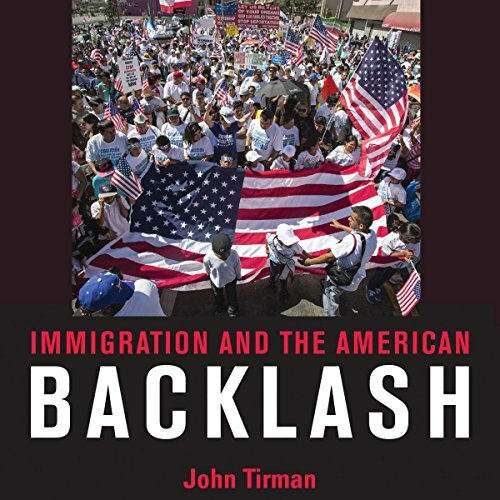 John Tirman presents a well researched, scholarly (it is university press, after all) work, looking at the issue of immigration into the USA. Tirman puts forward a thesis that is is not economics or security or welfare or politics, but actually a concern about culture and "what it means to be American" that drives and shapes the anti-immigration argument. While all those other things are used as a front for it, when Tirman dives down into the issues and the rhetoric the 'culture' issue continually surfaces. Throughout the book parallels are drawn between the Great Migration after the civil war of blacks from the south into the north, and how they were treated, to the current migration of latinos into the southern USA. The way they are treated as second class citizens and deprived in subtle (and sometimes not so subtle) ways. He reviews the reasons people immigrate to the US, both legally and illegally, and what the driving forces for those are. He looks at the impact US foreign relations (like late 90's actions in South America) from into immigration, and he also looks at how those immigrants are treated once they are here. While Tirman appears generally pro-immigration, or at least anti-current anti-immigration practices, he does a good job of presenting both sides of the argument. While he may condemn and deride the methods that anti-immigration use, he is even handed towards the actual reasons and concerns behind the action. Some of the concerns are dismissed after analysis, and rightly so, such as "terrorists sneaking in from Mexico". Reading through you can understand, and even agree in some cases, to the reasoning behind being anti-immigrant, because of the balanced approach. While Tirman does examine and press the Republican Party for their stance on immigration he doesn't ignore the actions of the Democrats either. The analysis and condemnation of the "militarisation and deportation" practices is bipartisan in approach. That is not to say it is perfectly balanced or without bias. It is there is places, although Tirman does his best to minimise it. Tirman, in the introduction, says he shall avoid judgment in his language. And for the most part he does. There are a few occasions where judgmental terms are used, but these are few. Jim Sartor does a good job narrating. He is well paced, clear, and easy to listen to and follow. I do wonder at times if a bias in one direction or another that he has then affects how he has read the book. Is some of the judgement or bias I perceived in the book from the author, the narrator, or myself (while I am not American that doesn't mean immigration within my own country doesn't affect how I see the US issue)? It is hard to know. I've tried to focus this review on Tirman's approach and his attempt to balance the two sides, so as to help any future readers to set expectations and determine for themselves where they see that bias sitting. 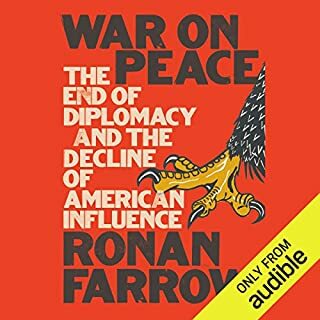 Where does Immigration and the American Backlash rank among all the audiobooks you’ve listened to so far? A scholarly look at immigration's social and political fallout. Don't be put off by the description! This is well written and well performed. For the as relevant and touchy as the subject is, in my opinion, did a damn good job of presenting viewpoints on all sides. The historical perspective, timeline of immigration throughout America's past. The correlation of Blacks with the Latin population. Why the country needs immigrants and problems that are inherent. Irish immigrants were feared and hated, as were Blacks, Germans, Asian, European. It isn't a new issue or fear. And despite politicians using terrorism as an excuse, it is deeper than that. Despite being scholarly in depth, I took a deeper understanding of the issues involved with immigration with me. And it was interesting in both the way it was written and the presentation by Jim Sartor. I found myself questioning some of my long time Pro Immigration beliefs. Or at least, better understanding the other side. I suggest that most listeners will come away with a better understanding too. Understand, it isn't cut and dried, black and white, right and wrong. This was an interesting work! I enjoy Social History that is well researched and written. This fits the criteria. This held my attention. This review copy audiobook was provided by the author, narrator or publisher at no cost. Which I can only assume was voluntary on their part. I am happy to give my honest review of it. I think I'm suppose to mention how reviewing this was voluntary on my part too. Good review of a difficult problem. its ugly head in the United States. 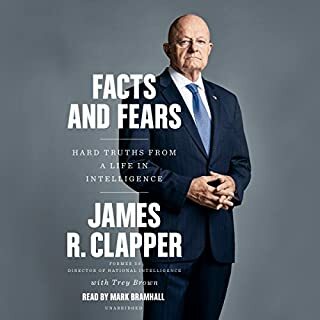 With a good performance by the Narrator all listeners will gain knowledge into an issue that will never be solved in America. Note: I can't figure out how to change the stars to no stars. I accidentally started to evaluate the wrong book. I have as yet not listened to this one so cannot evaluate it.